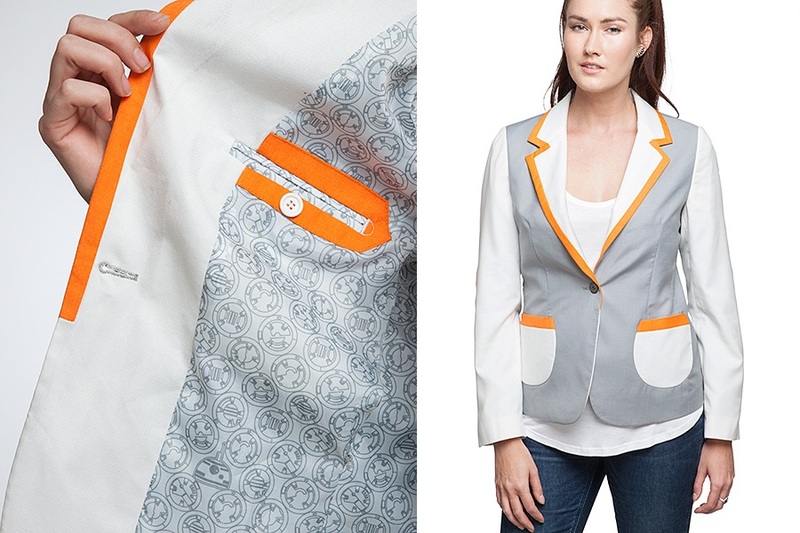 This women’s Star Wars BB-8 blazer is now available at ThinkGeek. 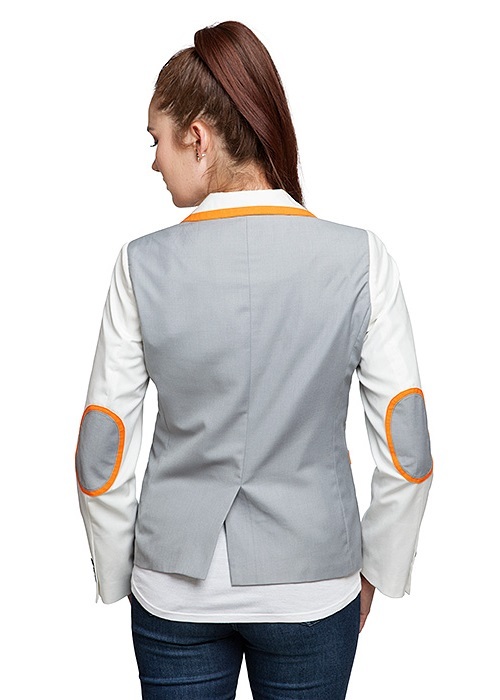 The grey jacket features contrast white sleeves, pockets and collar, with orange accents. 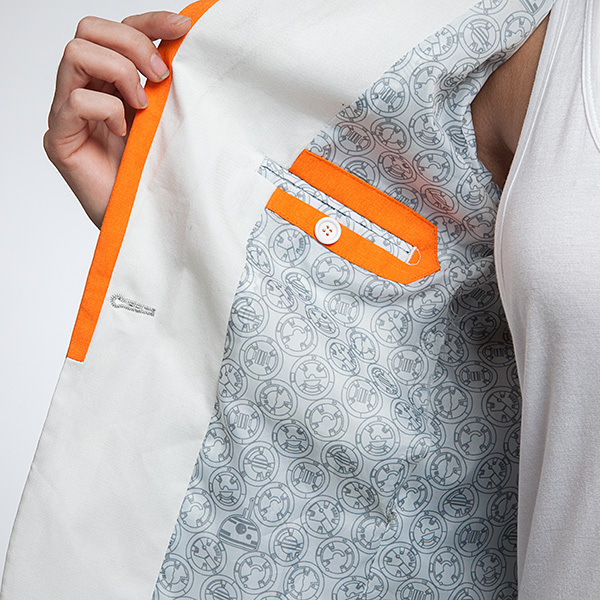 The exterior button features the Resistance ‘starbird’ symbol, and the printed lining fabric features a repeating design inspired by BB-8 panels. When you add a piece to your closet that makes you giggle just looking at it, that’s a great place to start. Something like this Star Wars BB-8 Women’s Blazer, for instance. 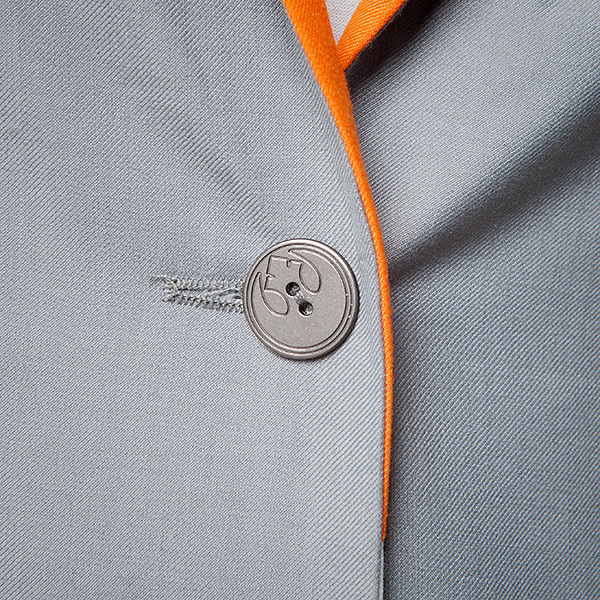 This grey and white single-breasted jacket has orange piping on the lapel and pockets, plus grey and orange elbow patches. It lets you give a shout-out to your Star Wars fandom from corporate America (or wherever). Because those of us who think droids are best will not be silent; we will beep and boop and chirp! 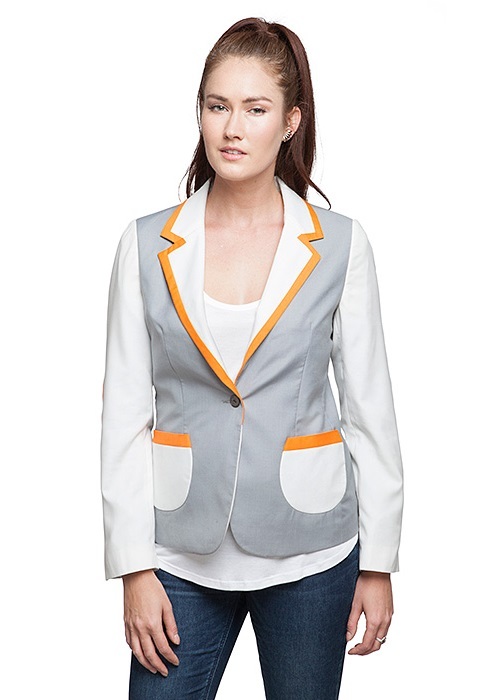 Available in sizes XS to 3X, the blazer is priced at US$89.99 each – ThinkGeek can ship internationally, which is great!